Order your AudioPLUX™ Helmet Speakers now. AudioPLUX™ speakers are an "away from the ear" speaker system that delivers good quality audio near the ear while not suppressing ambient sounds around you. AudioPLUX™ was funded on KickStarter! View the campaign page. 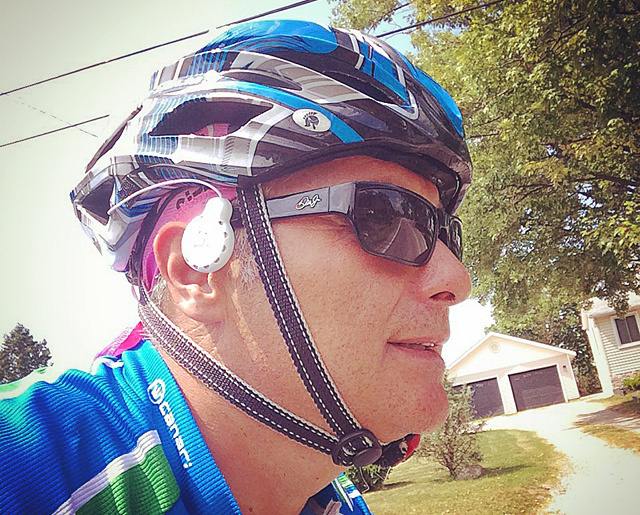 This video depicts Lou Tortola, inventor of the AudioPLUX™, on a Sunday ride with his speakers on. Note the position of the speakers in relation to the ear for an optimal sound experience. Affixed to the sunglasses rather than a higher helmet may work best.